Your friend, Mrs. Blowfish, urgently needs your HELP! The big bad gangster fish will eat your friend unless YOU help her stay in the corals. She is too weak without you. Quickly! Run before they get your mate! 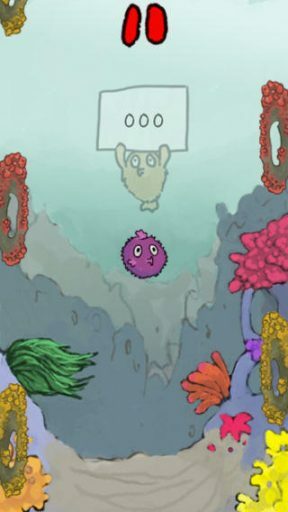 Save the Blowfish is very simple to learn, with an easy end game; don’t let Mrs. Blowfish fall. Where is Mr. Blowfish in this whole dilemma? I’m not sure. That is neither here or there as you are her rescuer. Tap a coral on each side to stick Mrs. Blowfish to it to save her. Continue back and forth as many times as you can while the counter keeps score of how many times the fish has been passed. Your aim is to get the highest score possible. 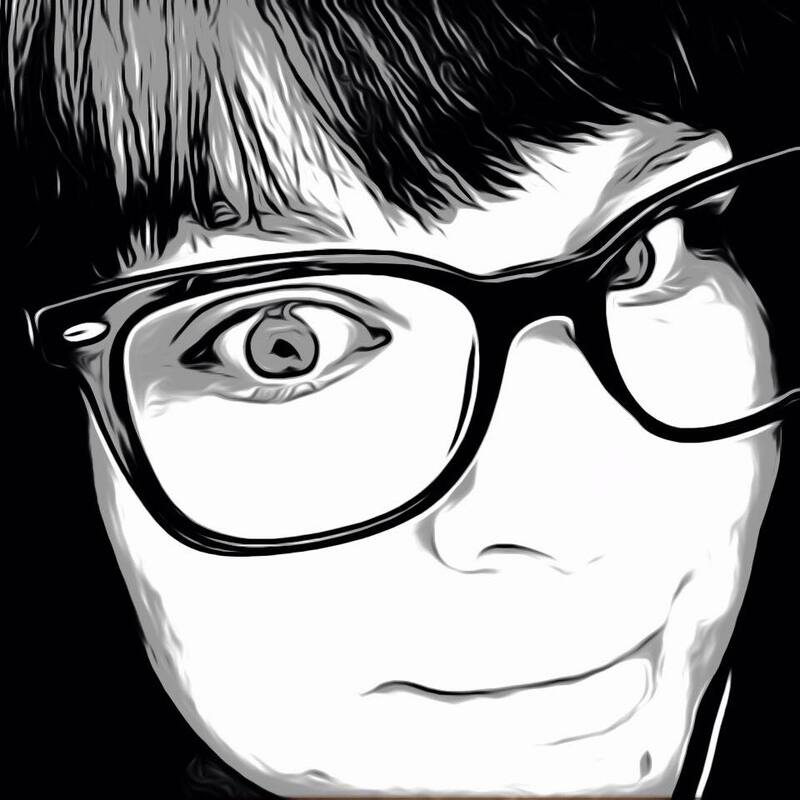 The app, though a simple time waster of a game, is very lack luster. For one, the description of this game mentions a “big bad gangster fish” that will eat you, though you never see evidence of this except in the main page illustration. When Mrs. Blowfish is sucked through the cracks no monster fish appears. She just floats away, never to be seen from again. The theme is very elementary with not much detail added to the scene or characters. The sound effects and music add to the immaturity with random guitar strumming along with what sounds like kazoo noises. It is pretty annoying, so my suggestion is to turn it off all together. 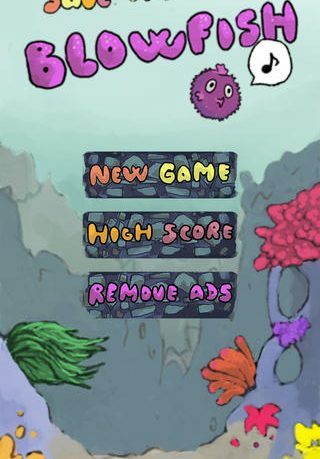 If there is one appeal to this game, it’s that it has a Flappy Bird like quality; the want to beat the score, no matter how ridiculous the game is. It’s a free app with ads running at the bottom, but those can be removed with an in-app purchase. 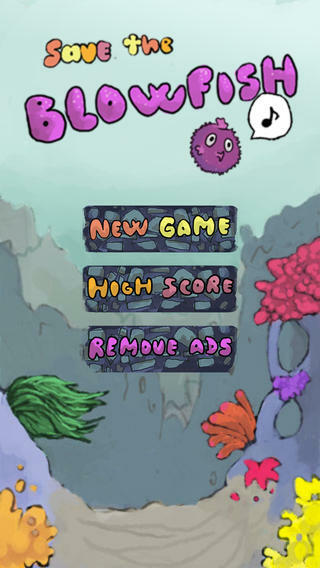 Save the Blowfish is available now for free in the App Store and is compatible with iPhone, iPad and iPod Touch.